Already Have A Trip Booked? FREE things at Walt Disney World! Great news! Disney Cruise Line® now has new offers and new itineraries available– whether you’re sailing this month or next year. 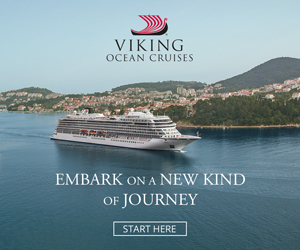 Beginning now through Dec. 16, 2012, you can receive a $25 onboard credit when you book online. Plus, you can get half-off deposit! Disney Cruise Line is also modifying a number of 2013 sailings from Galveston to provide you with a greater variety of itineraries and ports-to-call to visit than ever before! • 2013 departure dates: Oct. 5, Oct. 19, Nov. 2, Nov. 16 and Nov. 30. • One of the Caribbean’s best-preserved Georgian towns, you can sample Falmouth’s history and culture, take a trip through time on a horse-and-buggy ride, shop for arts and crafts and taste Jamaica’s signature jerk recipes. Bamboo raft rides along the Martha Brae River offer exceptional views of the island’s lush tropical scenery and nearby Ocho Rios is known for its spectacular Dunn’s River Falls. • 2013 departure dates: Sept. 28, Oct. 12, Oct. 26, Nov. 9, Nov. 23, Dec. 7 and Dec. 14. • Always a favorite port of call for Guests, Castaway Cay is the place for those seeking adventure, relaxation or quality time with the family. To provide you with shorter cruise options, Disney Cruise Line is also modifying two 7-night sailings into one 6-night Western Caribbean itinerary and two 4-night getaway trips. These itineraries are perfect for Clients who want to sail with Disney, but are unable to participate in longer voyages. • Ports of call: Grand Cayman and Cozumel, Mexico, plus three days at sea. • Ports of call: Cozumel, Mexico, plus two days at sea. Disney Cruise Line will contact Travel Professionals with Clients already booked on voyages impacted by the changes. You’ll have the option to rebook on a different itinerary or cancel the cruise. The 7-night Bahamian and Western Caribbean sailings are currently open for bookings. The new 4- and 6-night sailings open for new bookings on Nov. 16, 2012. Contact me for more information and a free Disney Vacation quote! No, the theater shows are not bokoed in advance. You see the shows based on your dining assignment. There are many shows to choose from, depending on your cruise and which shows you mean. There are shows in the Walt Disney Theatre and the Buena Vista Theatre some Broadway style shows, variety shows, and movies. Typically, each night you have a single featured show in the Disney Theatre. Some of the links on this site are affiliate links and I will get a commission for you ordering something from that link.